I am really not for sure why I decided to check out my old youtube channel but I did, and I cried. As far as an awareness post today…..well…..as a mother it heartbreaking to watch your daughter work so hard to gain skills and then again to lose skills. 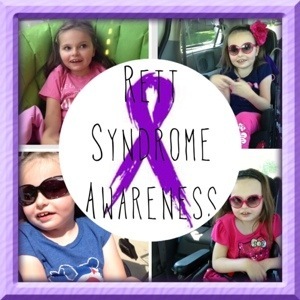 I long to have my sweet girl standing and taking steps again but Rett Syndrome has taken that away. Balance/Standing: You will see in this video (from over 7 years ago! )how much focus, concentration, and strength it took for her to stand and balance.